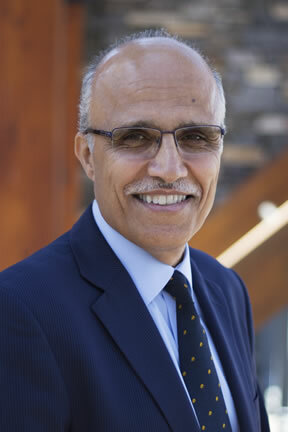 Ali Modarres is the Director of Urban Studies and the Assistant Chancellor for Community Engagement at University of Washington Tacoma. From 1999 to 2017, he served as the Editor-in-Chief of Cities: The International Journal of Urban Policy and Planning. Dr. Modarres earned his Ph.D. in geography from the University of Arizona and holds masters and bachelors degrees in landscape architecture from the same institution. He has published in the areas of social geography, immigration, urban development, planning, and policy. Dr. Modarres has focused a significant portion of his public scholarship on economic development through an equity lens that includes global labor migration within the larger political and economic discourses. Dr. Modarres serves on a number of governing and advisory boards of academic associations, nonprofits, and policy centers including Economic Roundtable (Los Angeles), Urban Affairs Association, South Sound Regional Leadership Council of Forterra, and the Greater Tacoma Community Foundation. He has also served on city task forces and committees, including the Affordable Housing Technical Advisory Group for City of Tacoma. Throughout his academic career, he has built bridges between university and the community, promoting and supporting the mission of urban serving universities. As a part of his academic service, he serves on the advisory board for Palgrave’s book series on Demography and Political and Social Change in the MENA region (Middle East and North Africa) and Springer’s Urban Book series. He also serves on the editorial boards of the Journal of Urban Affairs, Cities, and Sociologica Urbana e Rurale (Italy). Modarres, A. (2016) “Reexamining Race and Ethnicity in the Suburbs.” Book Chapter in Future of Suburbia, MIT Press. Modarres, A. (2015) It’s not just the author: the reader and the editor are dead, too. Publications, 3: 168-173. Modarres, A. and Dierwechter, Y. (2015) Infrastructure and the Shaping of American Urban Geography. Current Research on Cities, 47: 81–94. "Commuting and Energy Consumption: Toward an Equitable Transportation Policy." Journal of Transport Geography, 33: 240-249. "Re-examining Travel Time to Work." CSU Geospatial Review. 11: 6-7. "Form and Function: On Politics and the Morphology of the Bazaar in Yazd, Iran." Book Chapter in The Bazaar in the Islamic City: Design, Culture, and History. Edited by Mohammad Gharipour. The American University in Cairo Press. "Polycentricity, Commuting Pattern, Urban Form: The Case of Southern California." International Journal of Urban and Regional Research, 35(6): 1193-1211. Modarres, A. (2011) "New, Aging Los Angeles." California Politics and Policy, 13(1): 36-45. Modarres, A. (2011) "Beyond the Digital Divide." National Civic Review, 100(3): 4-7. "Migration and the Gulf: Demography, Identity and the Road to Equitable Policies." Anthropology of the Middle East, 5(1): 1-17. "Public Transportation and Access to Healthcare: A Case Study of East Los Angeles and the West San Gabriel Valley." Theory and Policy 3 . What is the Answer to the Suburban Question? New Geography.